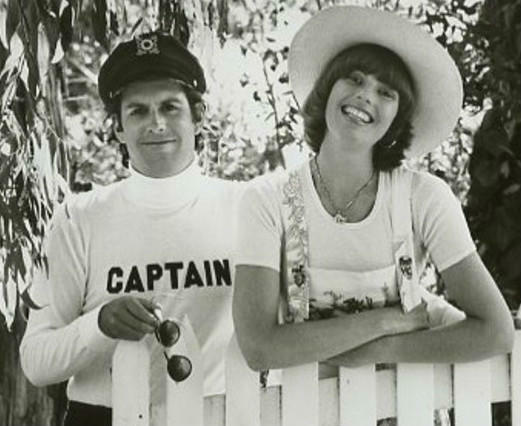 Captain And Tennille's Captain Has Died -- Who Was He? The daughter of a tap dance teacher and a film director and the sister of a casting director and scriptwriter, Penny Marshall was destined to make her mark on the entertainment world. But in the early 1960s, she was a divorced single mom working as a secretary while waiting for her big break to come. With the help of her well-connected family, that break came, turning Penny Marshall into a household name and an icon of the 1970s. Tony Marshall, Penny’s father, has a successful career as a film director and producer, but not nearly as successful as his son, Penny’s brother, Garry Marshall. Penny’s older sister, Ronny, worked in the industry, too, as a casting director. 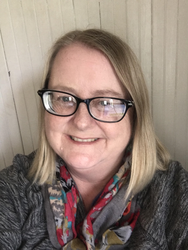 With her sister’s help, Penny landed a few commercial roles and bit parts on television, but it was her brother, Garry, who helped her make her own name in television. 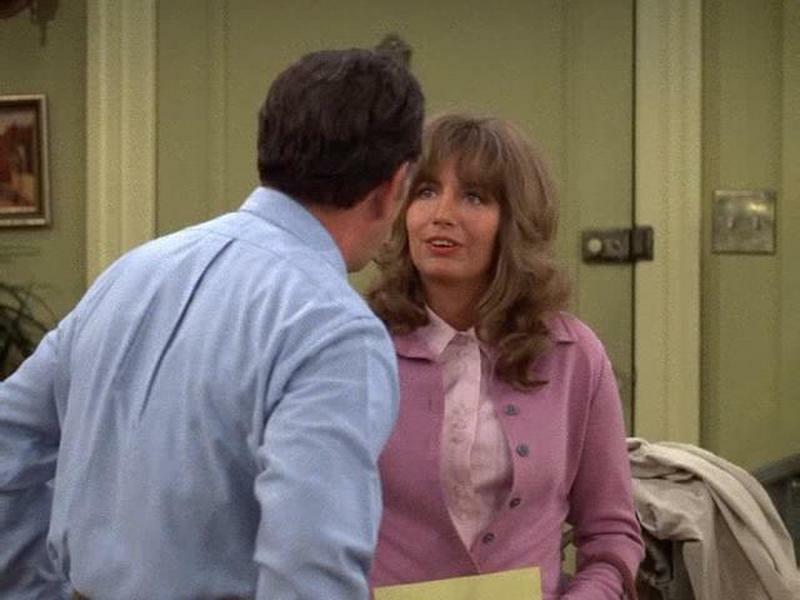 Early on in her acting career, Penny Marshall landed a role in a television commercial for Head and Shoulder Shampoo, alongside Farrah Fawcett. Penny was to play to the homely girl with the limp, stringy hair, while Fawcett was the pretty girl with the fresh, bouncy hair. The stand-in even held placards that said “homely girl” and “pretty girl”. Marshall got a harsh reality check about how she was viewed by directors. 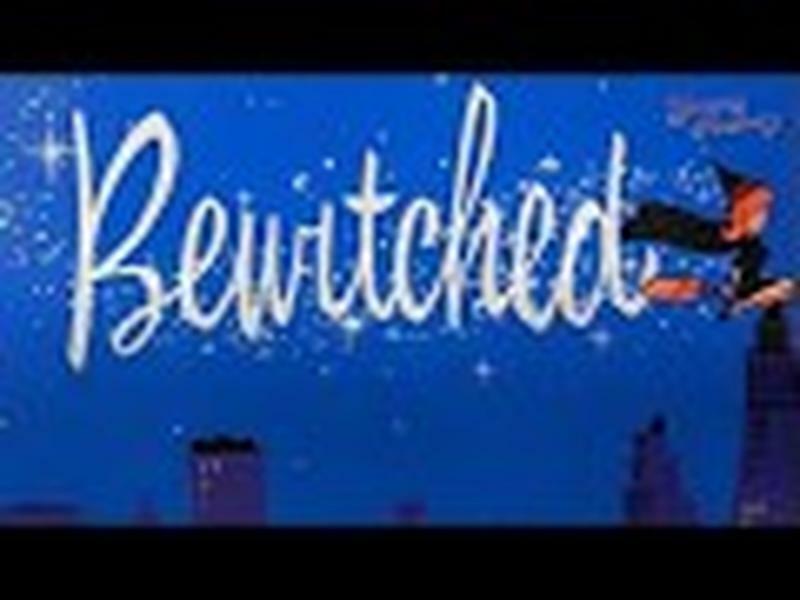 After this commercial, Marshall auditioned for the role of Witchiepoo in H.R. Pufnstuf. Only two people auditioned for the part…and Marshall wasn’t selected. It seemed that acting may not be for her. Garry Marshall offered to give his sister, Penny, a role in a movie he had written and was producing in 1968, How Sweet It Is. Her appearance in that film helped her land another role that same year in The Savage Seven. She also took a guest role in the television hit, That Girl, appearing with Marlo Thomas. 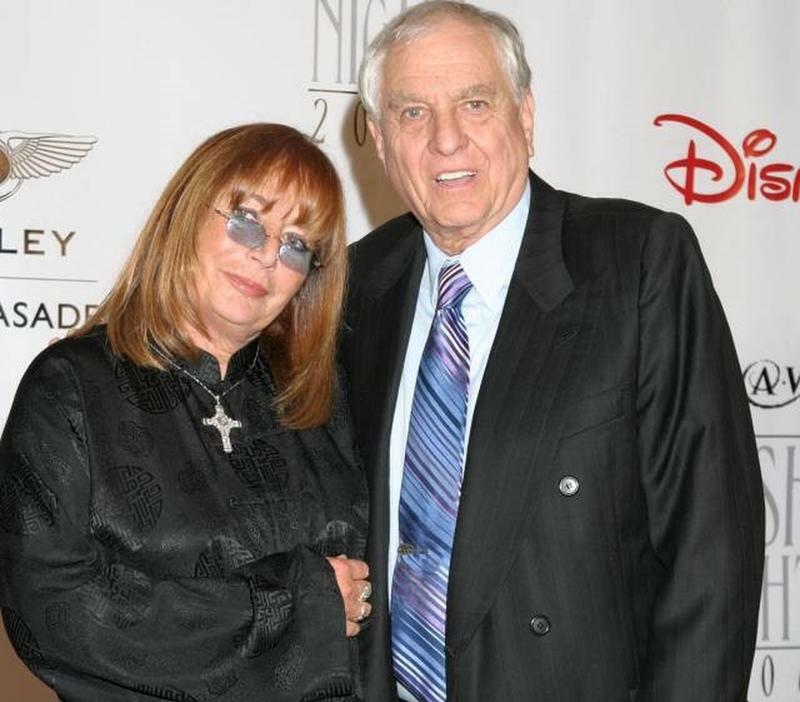 After Gary Marshall was named the executive producer of the TV sitcom, The Odd Couple, he offered his sister, Penny, a reoccurring role as Myrna, Oscar’s secretary. During her four years on The Odd Couple, she also appeared in a few movies and had a couple guest appearances on other television shows. The small guest roles Penny played on television sitcoms helped to cement her as a comedic actress. By the mid-seventies, Garry Marshall was the creator and writer of the hit series Happy Days. He cast Marshall along with Cindy Williams to appear as guests on the show. The duo played wise-cracking, bumbling brewery workers who doubled dated with the TV show’s lead characters, Fonzie and Richie. The viewing audience loved the characters Marshall and Williams played and clamored for more air time for them. Garry Marshall got an idea. 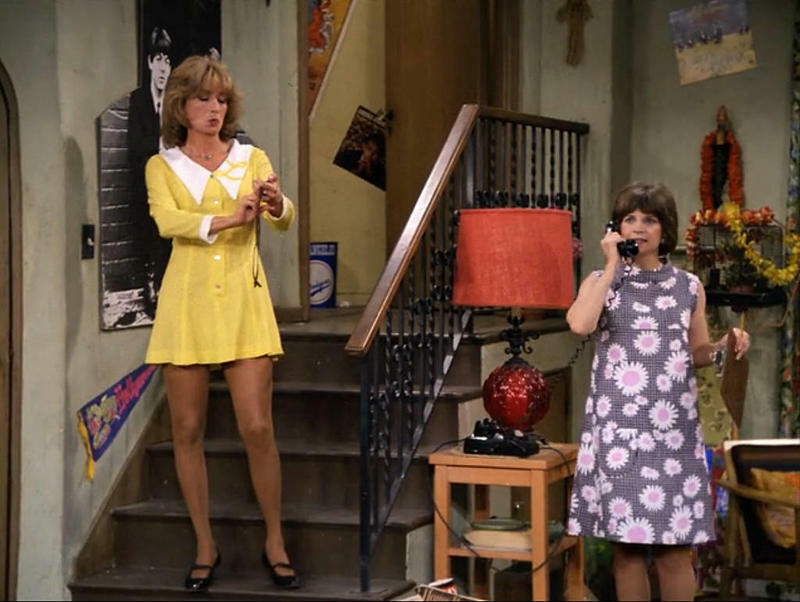 Garry Marshall used his clout and success on Happy Days to co-create a spin-off TV series, titled Laverne & Shirley, which would star Penny Marshall and Cindy Williams in the same characters they played on Happy Days. 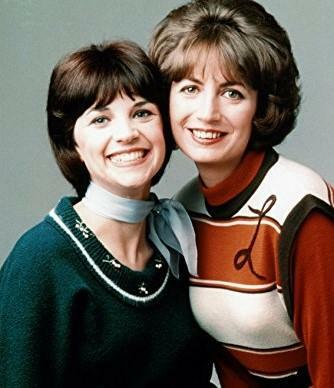 Laverne & Shirley debuted on January 27, 1976, and fans loved to tune in to see the antics of the two roommates and co-workers. The show was one of the top-rated shows during the late 1970s. It ran until May of 1983. 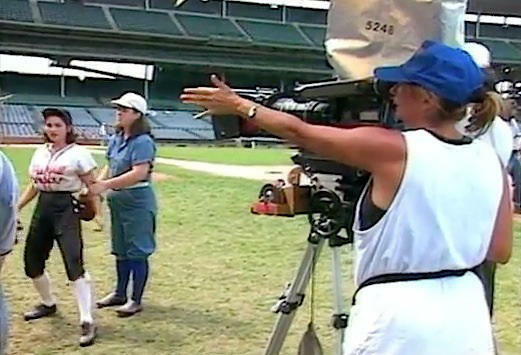 Penny Marshall directing Madonna and Rosie O'Donnell in A League of Their Own. 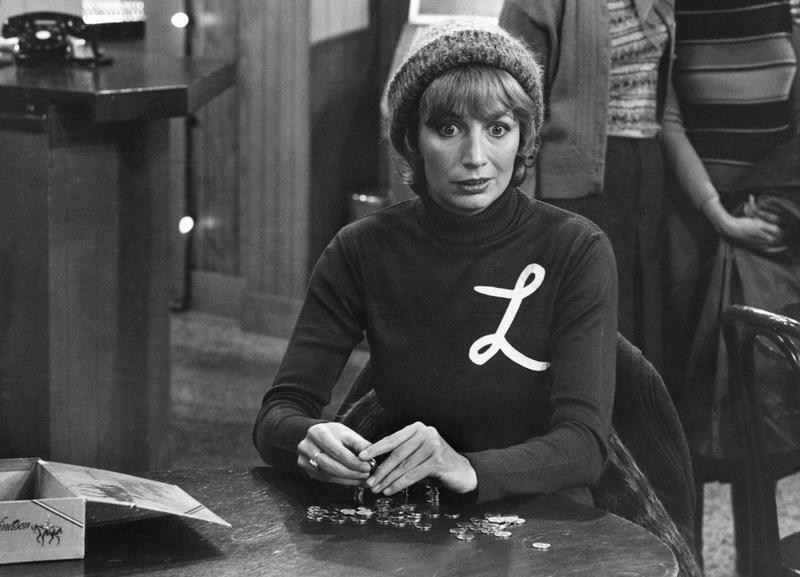 Encouraged by her brother, Penny Marshall tried her hand at directing a few episodes of Laverne & Shirley. She loved directing and found that she was good at it. 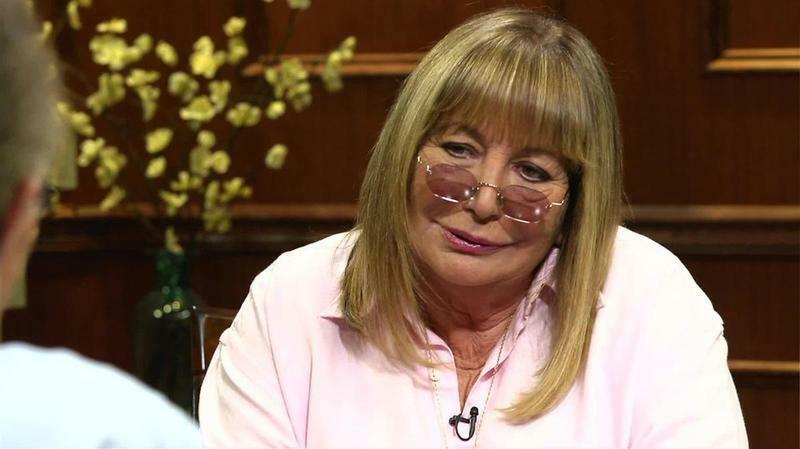 After the sitcom ended, Penny Marshall set her sights on developing a directing career. In the mid-1980s, she took on her first movie directing jobs with Jumpin’ Jack Flash, starring Whoopi Goldberg. After this, she directed such mega-hits as Awakenings, A League of their Own, Riding in Cars with Boys and more. From comedy to directing, from producing to dancing and from writing to acting, Penny Marshall has found that she is a perfect fit for the entertainment industry. This well-rounded director and actress may have had a few doors opened to her by her famous brother, but she proved that she’s got the right stuff to be a Hollywood legend.